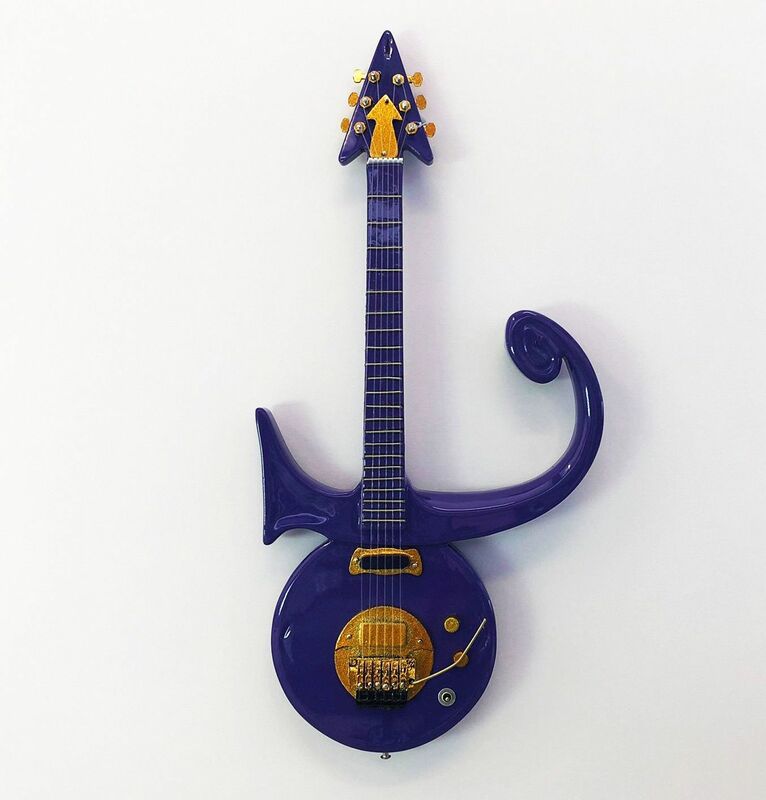 Prince - Purple Love Symbol Miniature Guitar. 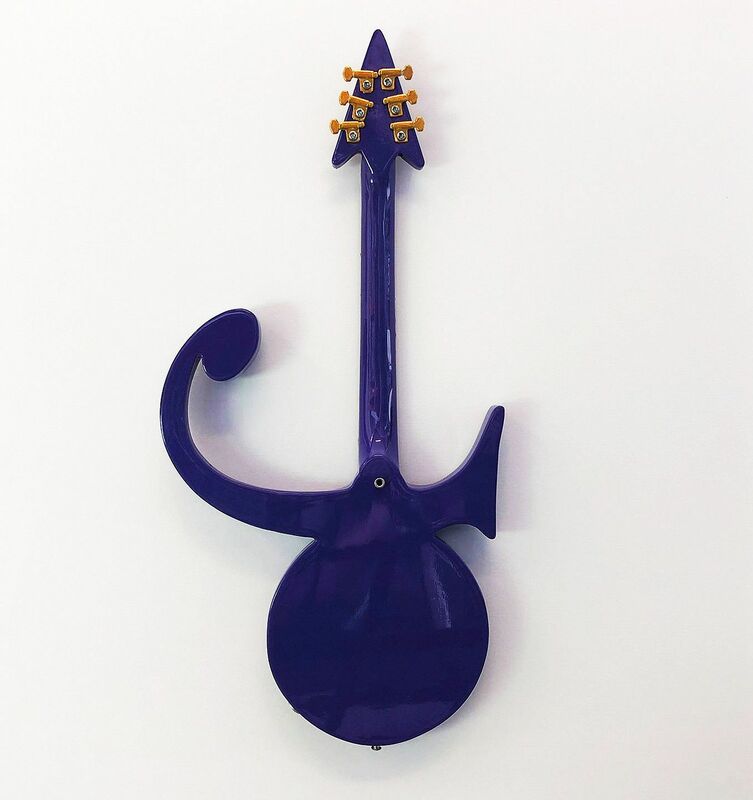 This is a miniature replica of perhaps the most standout guitar model in Prince’s stable is the Love Symbol guitar. The original one was made from antique maple and painted gold and the same EMG pickups as the Cloud guitars. Two copies of the Love Symbol guitar were built by one of Prince’s guitar techs, a white and a black one.